This is the first part of an exclusive behind-the-scenes look at what went into the season for 2018 Damallsvenskan champions Piteå IF. The second part continues the story as the title race goes down to the wire. Piteå may not be a name which immediately springs to mind when people think about Swedish cities. It plays home to less than 25,000 people, sits 690km north of Stockholm, and not far from the country’s land border with neighboring Finland. Unsurprisingly, it is well-known for its fishing but its beaches and archipelago has ensured it has the tag “The Rivieira of Norrland,” so it’s not somewhere you’d particularly link with major sporting teams, certainly not sporting success. Ice hockey is big in the city, but its football club achieved a staggering feat in 2018. Not its men’s side, which currently sits outside the top division, but its women’s team, who for the first time won the Damallsvenskan, seeing off competition from the likes of FC Rosengård, Linköpings FC, and Kopparbergs/Göteborg FC. Piteå IF is only 34 years old and was promoted to the top division 10 years ago, regularly finishing in the bottom half before a succession of campaigns that saw them finish third and fourth. Always the bridesmaid, never the bride, Piteå IF rose to the top in 2018 and more remarkably, did it as a part-time outfit, seeing off a side that had U.S. star Christen Press for half the season and a team that until recently had Lieke Martens and Marta in their squad. But just 12 months ago as the 2018 season was about to start, success looked further away than ever as the team was beset by problems throughout preseason. Manager Stellan Carlsson’s son was ill and he missed a chunk of preseason, the assistant manager was ill, and players, including key player and Nigerian international Faith Ikidi picked up injuries before a ball had even been kicked. Ikidi, a deeply religious person, says the club’s persistent setbacks brought everyone closer to together as they looked to take the step up from challengers to champions. Piteå did finish top three, just six points off eventual champions FC Rosengård. 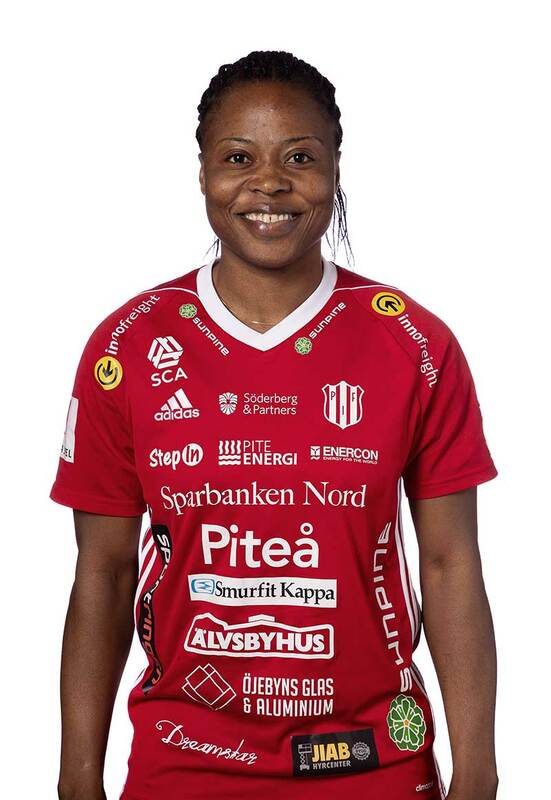 The years 2016 and 2017 brought consecutive fourth-place finishes but Ikidi, one of the club’s longest-serving players after joining from Linköping in 2011, wanted more. “We just took things one step at a time. In 2017 we said top five and we did it. In 2016 we said top five and we did it. Last year we felt anything was possible. Manager Stellan Carlsson is one of a few people at the club who can claim to be full-time. 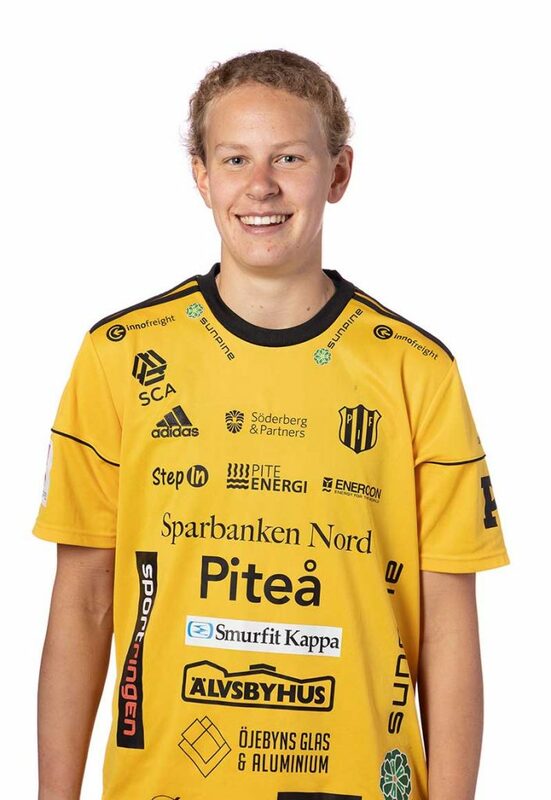 Having guided Piteå to a consistent top-half challenger, there was doubt whether Carlsson would even return for the start of the new season due to family issues but he eventually returned for what would be the club’s greatest season. “If you go back to 2017, we finished the second part of the season very strong,” Carlsson said. “We’ve been working with players who have been at the club for quite a few years and some of them are still young players. One of the club’s most loyal players is 28-year-old Emelie Lövgren. The defender has been at the club for more than 10 years and has known little else but Piteå. Outside of football, Lövgren works as a personal trainer at a local gym but is so committed to the club that she somehow finds the time to head up project “Lagkamrat,” where players visit local residential homes to meet and greet fans. More than anyone, Lövgren has seen the team evolve over the years and it’s likely the team’s success meant more to her than anyone. “We had so many setbacks,” she said. “Our coach’s family, our assistant falling ill, we had bad injuries but it brought us closer together. We didn’t talk about it out loud but somehow it definitely brought us closer together. In reality, having barely seen their manager over preseason, players working around the clock away from the football pitch, and their relative resources in comparison to their three major rivals, Piteå had no right to even match their previous three seasons, let alone win a title. Piteå won their opening seven games, including back-to-back away wins against Göteborg and Linköping. The success at the start of the season was helped largely by the influence of the emerging Julia Karlenäs. 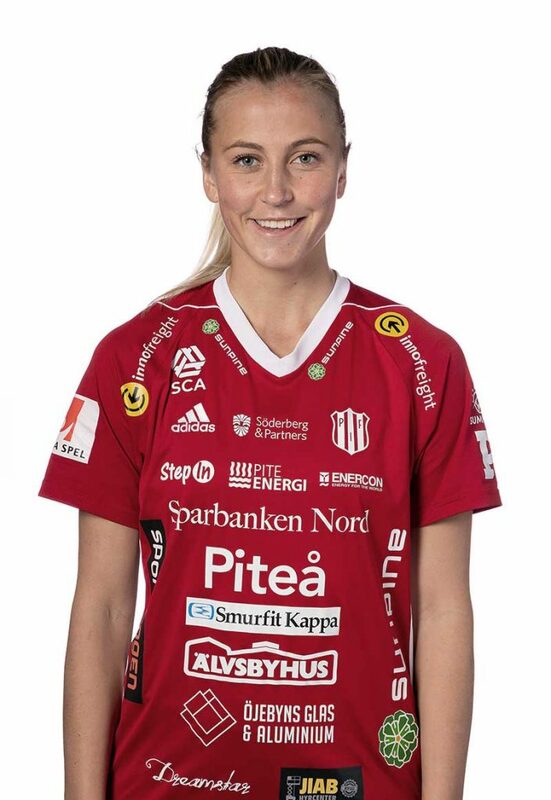 The 24-year-old scored just three goals in her first season at the club but matched that tally in the opening seven games, and along with the goals of forward June Pedersen, and the talent of exciting young midfielder Andrea Norheim, signed from European champions Olympique Lyon, ensured Piteå was on top when the season reached June. That newfound spirit and determination was more evident than ever when it came to the seventh of those games, away at champions Linköping. Piteå’s run was under threat after Natasha Dowie gave the hosts a 1-0 halftime lead, a lead which they held until the 73rd minute, when Karlenäs stepped up to score the equalizer. In the 93rd minute, Cecilia Edlund fired home the winner to ensure Piteå maintained their 100 percent record and took a huge mental step toward their first Damallsvenskan title. “The goal came at the right time because nothing could be done, they couldn’t respond,” said Ikidi. But despite their run, there was an underlying feeling the team was actually underperforming. The quality hadn’t been as high as the end of the 2017 campaign but the players were finding a way to win. “We didn’t talk about it much [winning the title] but we were winning games,” laughed Carlsson. “It was quite easy to take it one game at a time because the players were aiming for the next one. For one player though, winning had become routine. Goalkeeper Cajsa Andersson had joined the club at the start of the season looking for her third domestic title in a row after winning two on the bounce with Linköping. One of the more experienced players in the team, Andersson would provide a calming influence as the pressure ramped up. “That start set the bar for us and we started to think ‘We’re top of the league’,” said Andersson. “We’d beaten Linköping and I think that was when we started to believe. But as quickly as talk of Piteå winning the title began to spread about women’s football in Sweden, soon came the fall. After seven wins in a row, the club lost its next three, 1–0 at home to Rosengård, 2–1 away at Kristianstad DFF, and a surprising 4–1 defeat at home to Vittsjö GIK, despite Karlenäs giving them an early lead. “Before we lost those three games we started to work on some different ideas,” admitted Carlsson. “I didn’t think we were playing well, even though we were winning, but we analyzed that if we kept doing this we wouldn’t win the title. Had the manager’s tinkering derailed what promised to be a fairy tale campaign? Piteå got back on train with a narrow victory heading into a month-long summer break, which would restart with an almost pivotal match at home to Göteborg. “It wasn’t easy, whenever we lost a game it was so painful,” admitted Ikidi. “We have a winning mentality in us, we always strive to win, that’s what kept us going. Ikidi wasn’t the only one feeling as if things weren’t as bad as they seemed come the end of June. “It was quite hard,” recalled Karlenäs. “But we felt in the games we lost we played well. We won seven games in a row and maybe didn’t perform as well as in the games we lost, so it wasn’t that we were down and playing badly. It’s hard to explain, but I didn’t doubt that we were going to win again. A 2–0 win away at LB 07 after the break put Piteå back on track ahead of what would prove to be a watershed moment in their season as challengers Göteborg came to town.